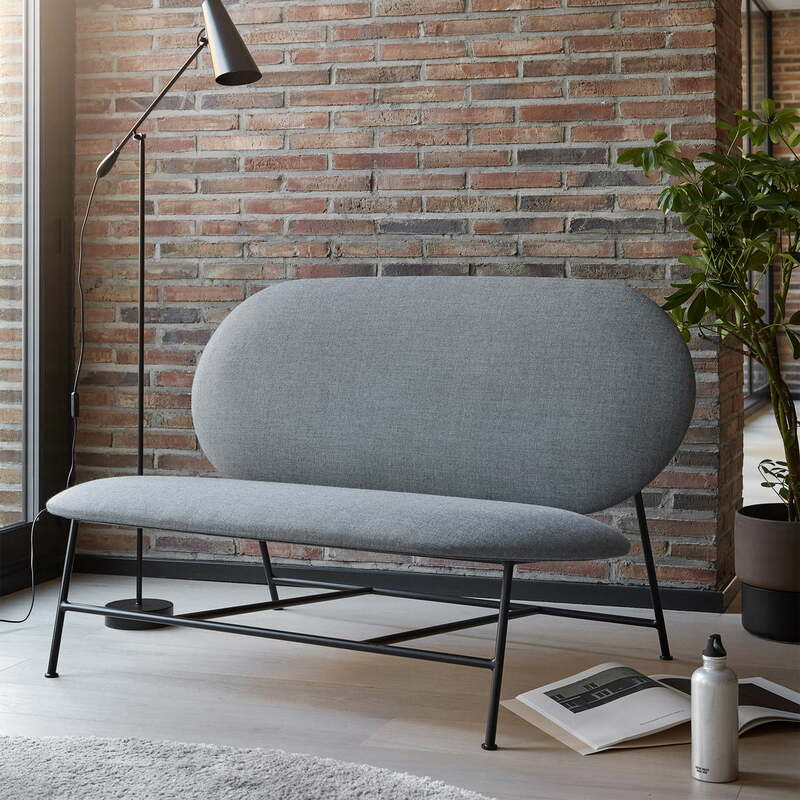 Northern's Oblong Sofa is characterised by its oval shapes and minimalist lines, giving it a sculptural character. Perfect proportions and geometric shapes give an indication of the design of the middle of the last century. 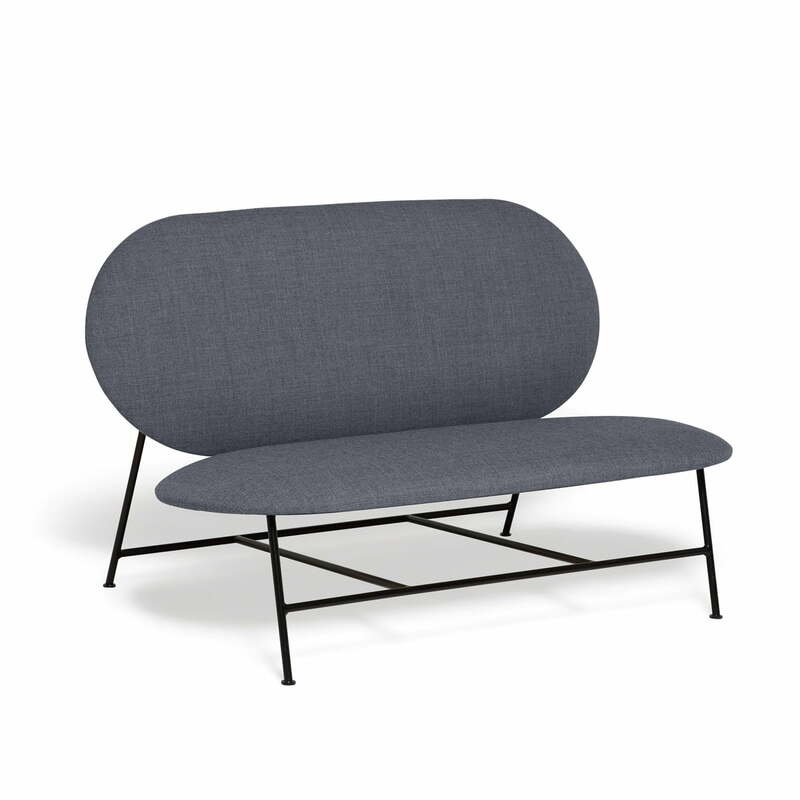 The base is a steel frame, which impresses with its slim form and gives the sofa an airy, light touch. So it can also be used perfectly in small rooms and offers a great seat without overcrowding the room. The slightly reclined backrest provides great comfort and invites you to linger. The Oblong Sofa designed by Mario Tsai is the perfect complement to the matching Oblong Lounge Chair . 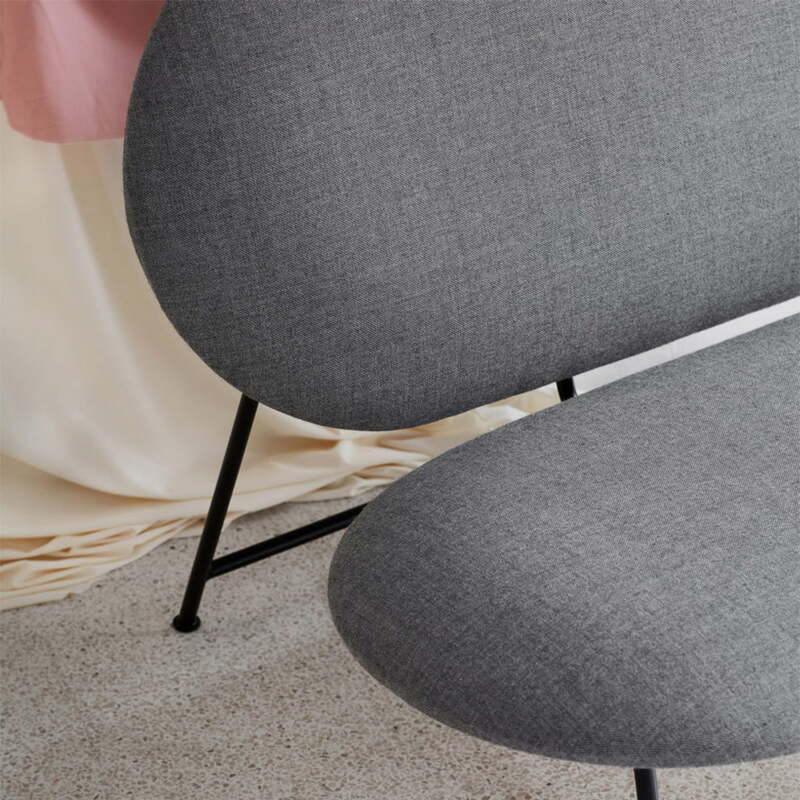 Together with the armchair in the same style, you can create a cosy sitting area in the living room that looks modern and comfortable at the same time. 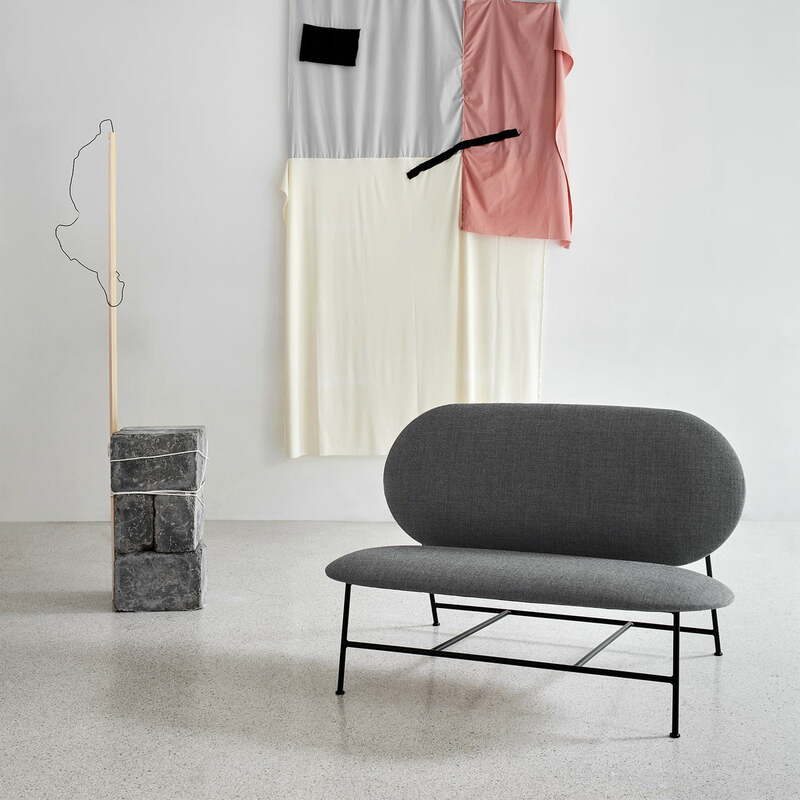 The Oblong Sofa is available with different fabric covers. Oblong sofa from Northern in the ambience view. Due to its frame, the sofa looks airy and light and can also be perfectly integrated into small rooms.